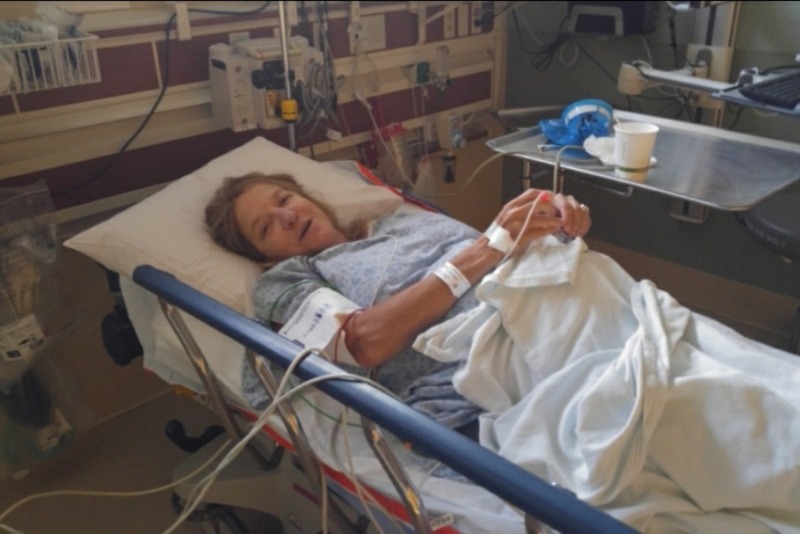 Fundraiser for Cecilia Maida by Jackie Star-Perrigoue : CECILIA'S KIDNEYS ARE FAILING! CECILIA'S KIDNEYS ARE FAILING! WE'RE BEYOND CRITICAL! IF FUNDS AREN'T RAISED, SHE WON'T GET A KIDNEY. 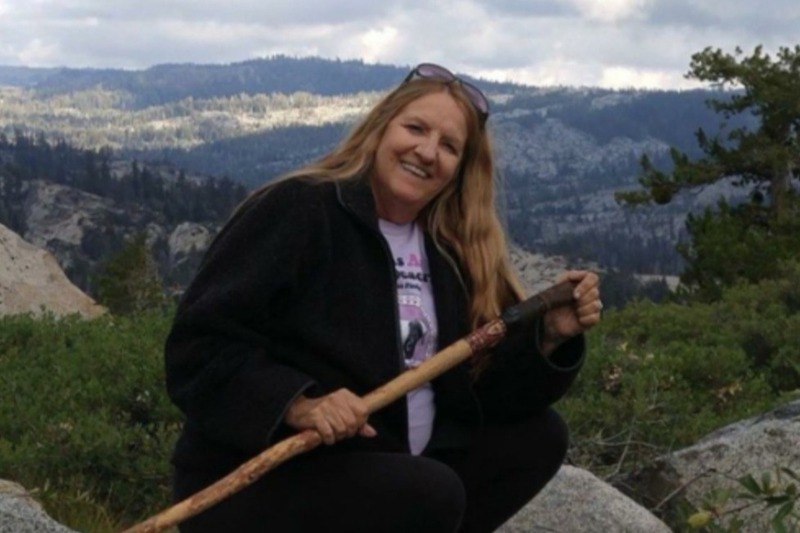 HER LIFE HAS BEEN SOLELY DEVOTED TO PKD & SAVING ANIMALS! TIME TO SAVE HER! SHE'S JUST 57! Cecilia's live donor has been cleared to undergo final test. The good news is she finally got a supplemental insurance policy, which had stopped going forward with transplant. 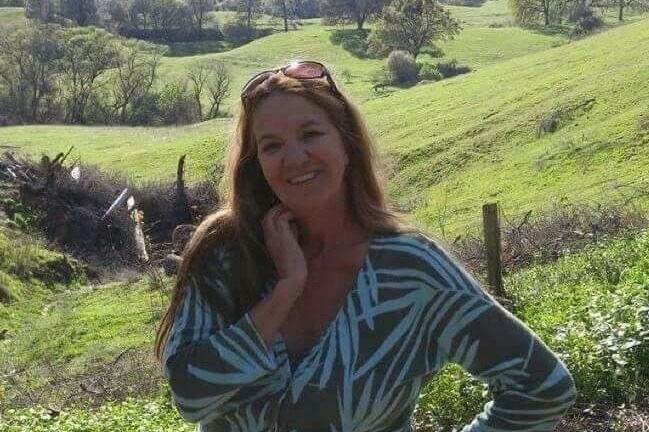 However, there will still be a great deal not covered by insurance, including transportation for donor fron Texas to California, and accomodations while she recovers from surgery to remove her kidney. There will also be medical overage, copays for medical & anti-rejection drugs (which are quite expensive), etc..
Once preparations are completed, the steps to transplant procedure will go quickly. PLEASE, IT'S URGENT, PLEASE DONATE & SHARE ASAP!! Cecilia Maida was first diagnosed with Polycystic Kidney Disease (PKD) when she was 19. It's genetic, and killed her father in 2002. She was young, athletic, healthy & suddenly devastated by drastic changes to her life. 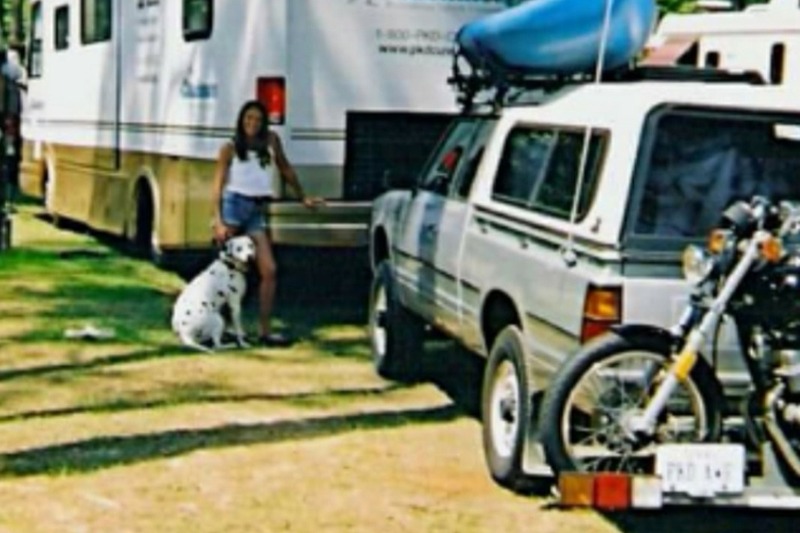 She became the poster child for PKD, traveling the USA in a motorhome with her beloved Dalmatian, Max, as a spokesperson for PKD. 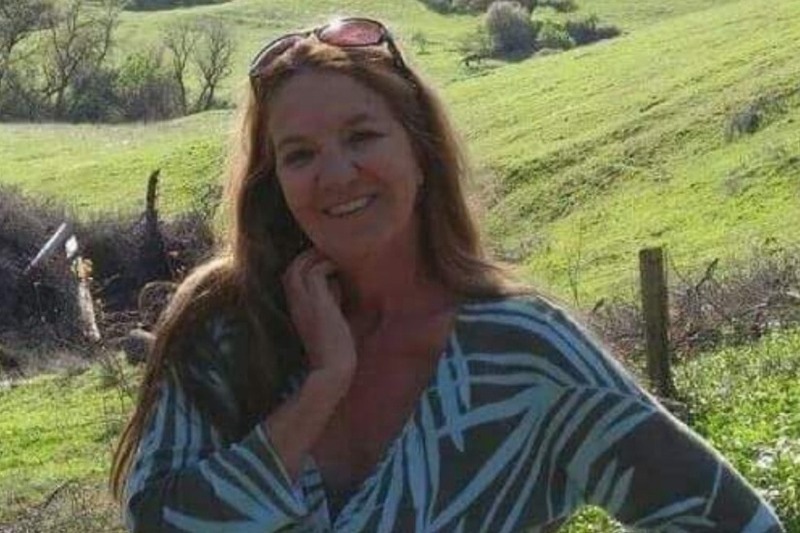 One of the hardest parts of this deadly diagnosis was realizing she would never have children, so her focus shifted to animals to fill this void. Her passion drove her to become founder of Paws Across America Advocacy (PAAA), now a nationwide grassroots movement in all 50 states, fighting for animal rights, giving them a voice, making progress with the help of hand-chosen leaders who share her passion. Over the years the PKD has progressed, her kidneys are now quite huge, filled with cysts & crowding all other vital organs, compromising their ability to function as they need to in order to sustain life! Her liver is compromised now too! It has become urgent to undergo kidney transplant surgery ASAP, or she won't survive. A lengthy search ruled out several possible donors. Backup donors are encouraged! Donors don't have to be a perfect match, but they need to be slender, healthy and have no other possible detrimental issues which could compromise their own future health. Once someone has passed all these hurdles, a matching donor kidney is used and the other donor kidney goes to another needy recipient. Cecilia's donor has passed all but one of these tests. Kelsie, a lovely young mother who resides in Texas, is one step away from approval. The next test must be done in San Francisco, requiring travel expenses. Distance is problematic, as she must fly to and from San Francisco (2 round trip flights, and her mother will need to come too, in 2nd trip, to take care of her post-surgery). While recovering from kidney removal, they need to stay in an extended stay type hotel. Her recovery may take awhile before flying is possible. All this increases expenses, but no nearby donors were found. At this stage, all options for funding this critical surgery have been explored. Being totally disabled, she now survives on Social Security and Medicare. This fundraiser goal includes out of pocket costs for the surgery and some follow-up care, and one year of costly anti-rejection drugs. Plus the the donor's travel expenses and accommodations during post-surgery recovery in San Fracisco. With all this, the fundraiser's $25,000 goal is quite modest. Cecilia has lived a selfless, simple life. 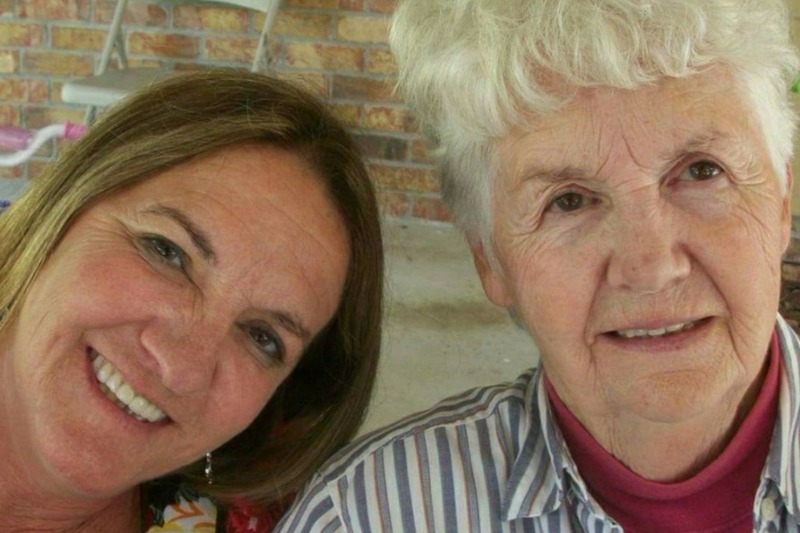 She cared for her ill mother, who was her best friend and support system, until she died in 2014. Money set aside by her mother to cover the inevitable transplant surgery had to be used to help care for her step-father, who is now critical. There is nothing left. This fundraiser does not include the unknown course of all anti-rejection drugs which will be necessary post-surgery. Now here she is, in her 50s, in dire need of surgery to save her life. She still has so much to accomplish, so much living left to do. She's continually given to everyone else, supported all the causes she passionately believes in, given voice to the voiceless, please help her now, it's time to give back. Consider donating. No amount is too small, it all adds up. Photos below: Top photo is a picture of a normal healthy kidney, the size of a human fist. 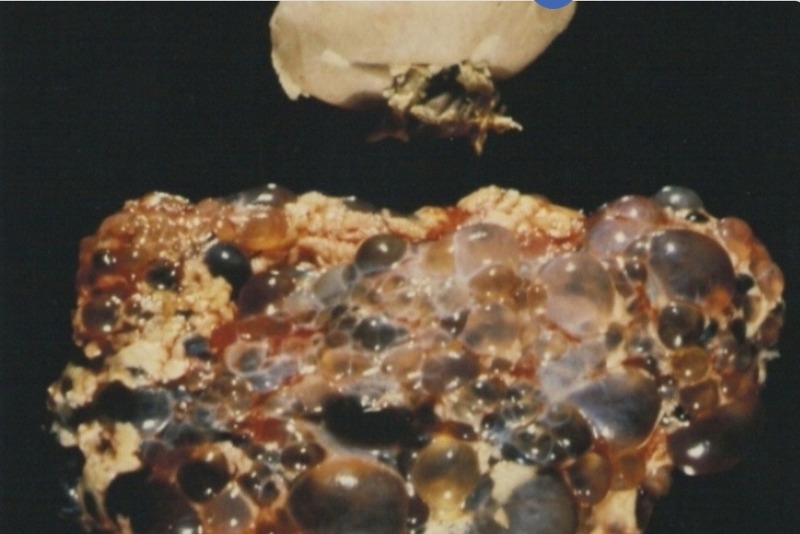 The photo below it is a PKD diseased kidney, which can become so large they can weigh up to 4 pounds each, and can be larger than footballs! Cecilia has two diseased kidneys, each about the size of a football. She also now has an enlarged liver caused by PKD, as it can affect all the major organs, causing deadly crowding of organs as it is doing in her case. Photo of Cecilia taken on a day trip to her beloved California mountains. 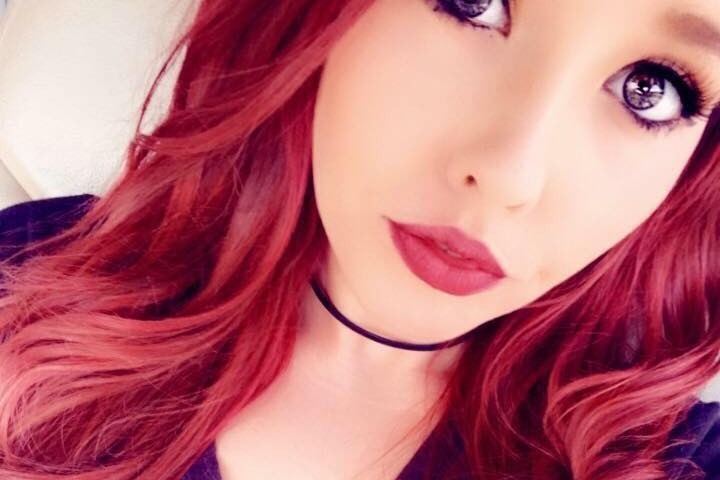 This is Kelsie, the beautiful young mom who has the soul of an angel. She is the kidney donor! Photo of Cecilia after a relatively recent procedure, done to buy her some time. You can see how enlarged her abdomen has grown from the PKD. They've grown more since then. 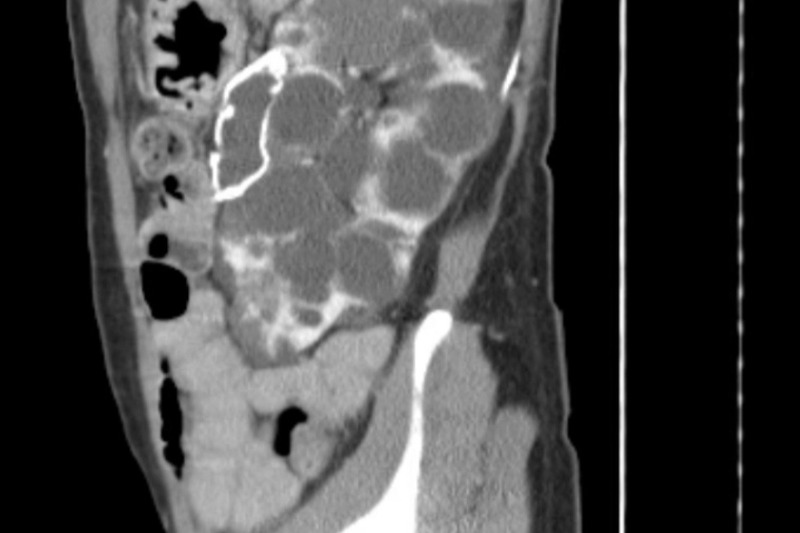 This shows how enlarged Cecilia's kidneys and liver have become. You can only image how crowded her vital organs have become! Her situation is critical! 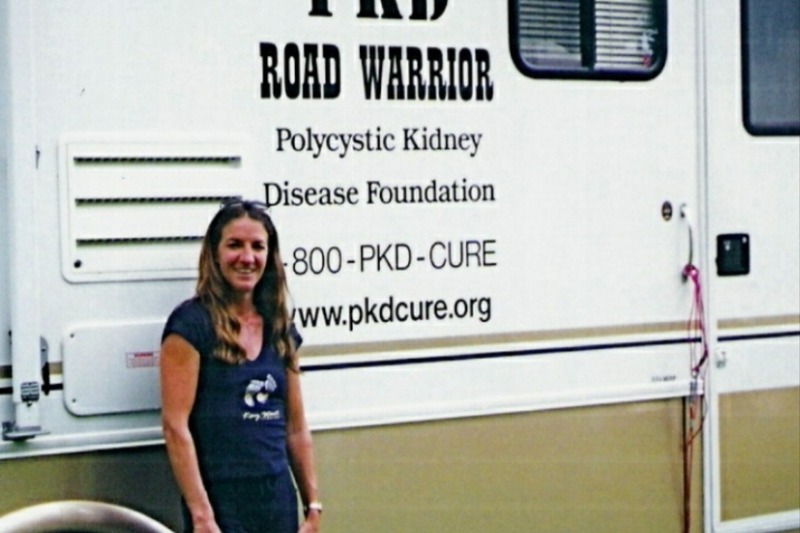 Cecilia Maida traveling USA as poster child for genetic polycystic kidney disease (PKD) in RV sponsored by Coachman. 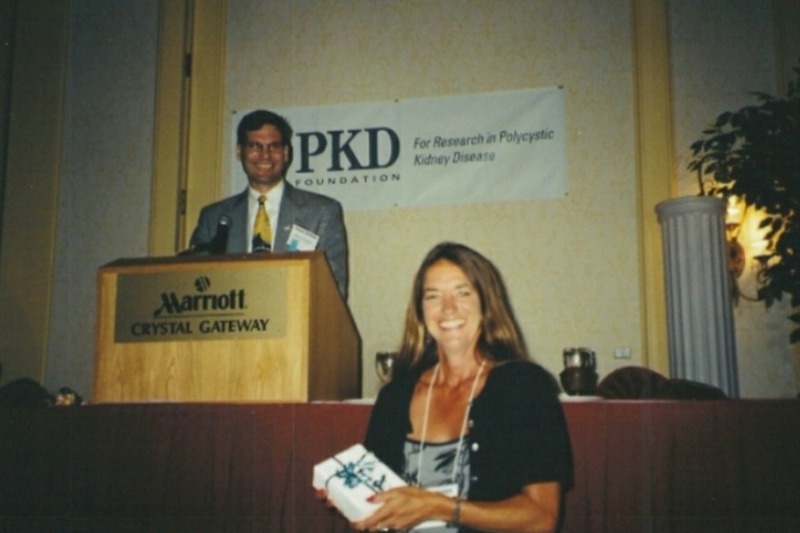 Cecilia receiving award from Polycystic Kidney Research Foundation in late 90s, for public awareness efforts to make PKD a household name. Her goal was to educate people, hoping to recognize the name of the disease responsible for wiping out entire families. It had already killed her Dad in 2002, and she will be next without this transplant. Cecilia and her mother, she was her mom's life-long caregiver. Cecilia still helped her in Hospice after to sudden diagnosis of pancreatic cancer in 2014. Her mother was terrified of dying and leaving her ill daughter alone. Cecilia and her rescue dog Max in Arizona desert as they traveled USA for public awareness and a cure for genetic PKD. 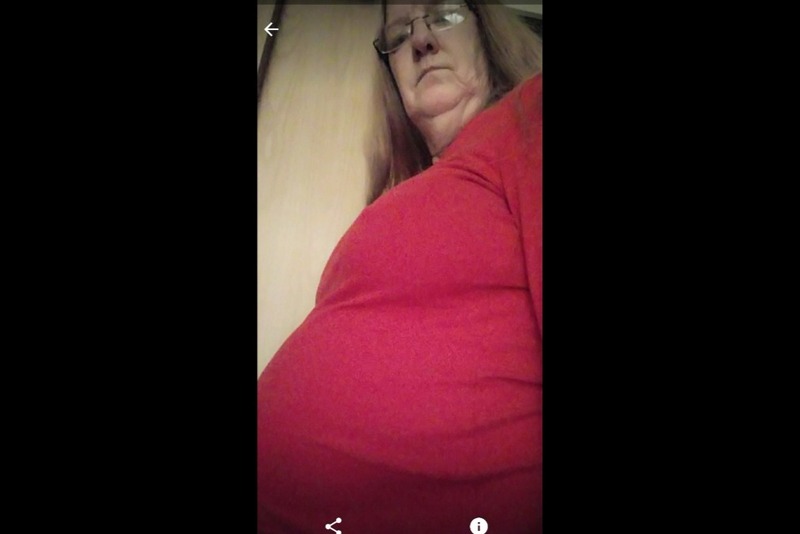 She was airing on TV with a transplant patient that had lost everything, and was living with children trying to keep their father's kidney by cost sharing for anti-rejection drugs. This may be Cecilia's next financial issue, but cost of drugs required won't be known until after transplant. 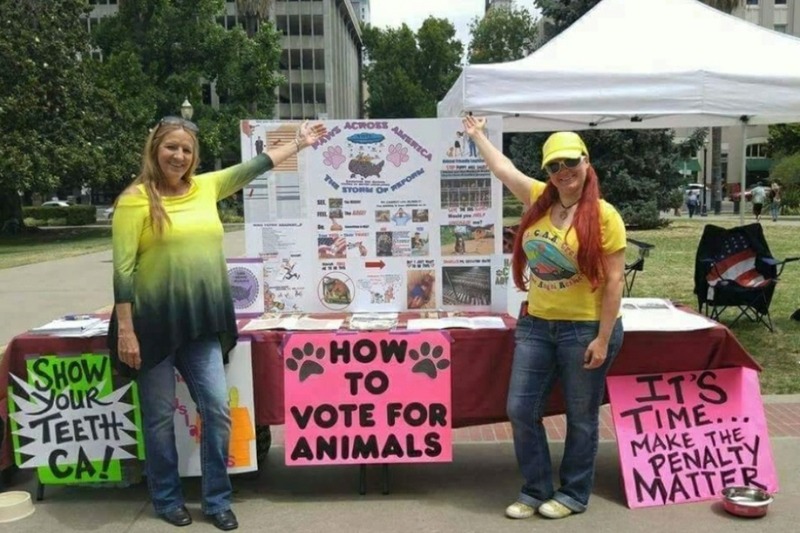 Cecilia and Jennifer Kanady, who helped Co-Found Paws Across America Advocacy groups in all 50-states, at their first nationwide rally when her health was stronger back in June, 2015. CT scan done of Cecilia many years ago, depicting the enormous cysts that take up her entire abdomen (which are now even larger), crowding out her other vital organs, putting her in her current life threatening situation. Cecilia in hospital with complications that have escalated her kidneys towards failure in last 6 months. After this picture was taken, Cecilia's kidneys continued to fail quickly and she may have to undergo dialysis in upcoming months even if her donor is cleared. Thank you to those helping me! Every little but helps me meet monthly premiums & new co-pays as I go through journey to try to get kidney transplant. My donor is not a match so they must locate a match for me to proceed. Good News on technical glitch! We got my PayPal link up and running again. I created a weird pool that expired when I created account. Apologize for confusion. Jackie will put correct PayPal link back into text of GoFundMe now we resolved link issues. Until then please contact us for PayPal instructions. They do want me to get backup donors in event she can't donate so message me if you are interested in being organ donor. Heavy stuff, I know, but I gotta try to find a way to keep living...but I'm preparing in event God has other plans. He is in control, in the end. Read fundraiser text. New changes have been made! Changes have been made to the story in this fundraiser. Some good news too! Read, donate & share PLEASE! Also the PayPal money pool expired. I'm trying to remove link but it won't let me do it. I must get person whom created to make changes & she's been sick.